The one-year old cat was covered in dirt and matted fur when she was found wandering around the neighborhood. She kept meowing and meandering alone until a kind-hearted woman heard her and called her back. "This lady with a big heart, named Lyne, called her and the kitty came running. 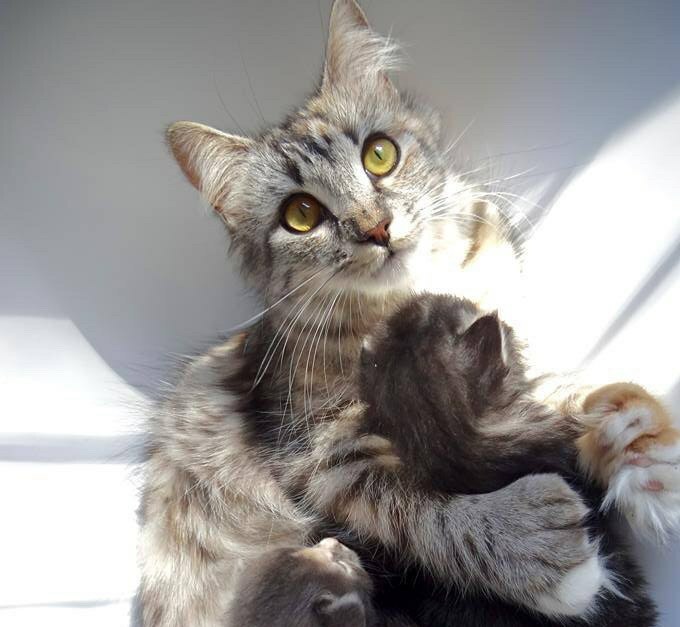 She jumped up into her arms as if she'd been waiting for that moment — finally someone came and held her," Celine Crom of Chatons Orphelins Montréal shared with Love Meow. The friendly stray was purring and rubbing her face against her rescuer in gratitude. Lyne took her to the vet and found out that she was pregnant and knew that she needed a safe place to stay. As soon as she brought her home, sweet Katnyss curled up next to her, purring away. 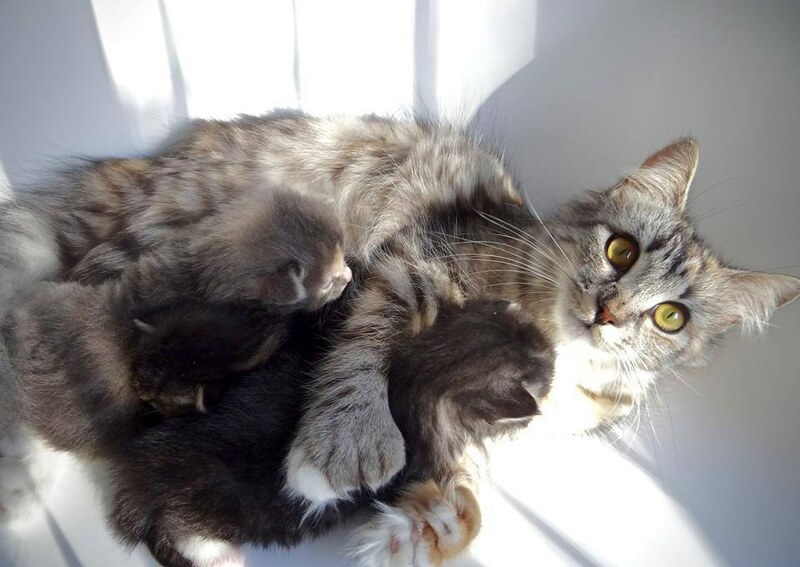 "The little girl slept a lot and had a lot of cuddles with her rescuer during her pregnancy. She felt warm and safe." 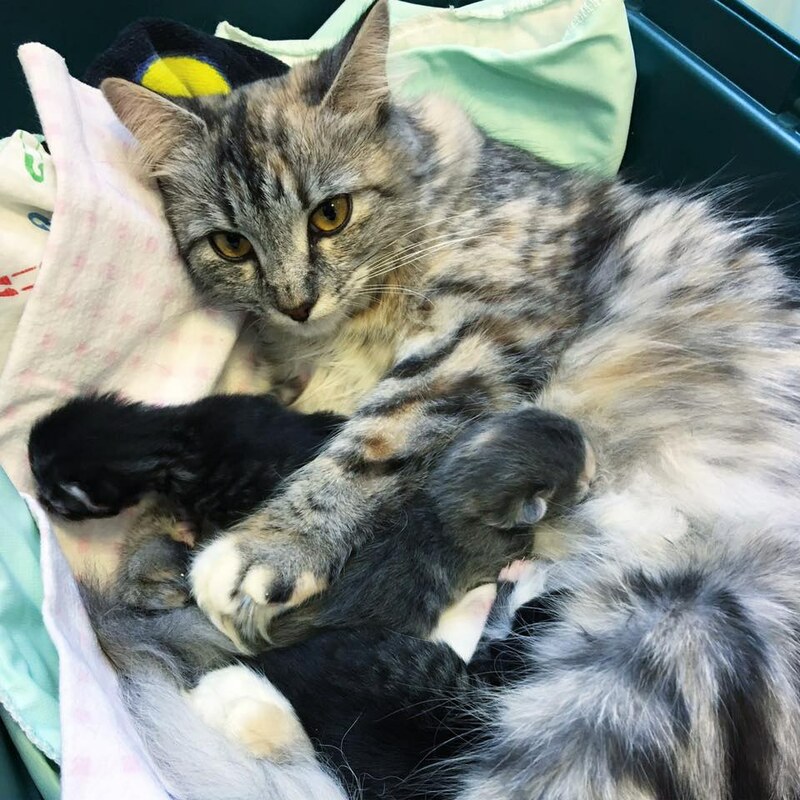 On October 4th, Katnyss gave birth to three beautiful, healthy kittens. Chatons Orphelins Montréal took the feline family in a few days later so they could receive proper care they needed to thrive.